On May 12, 2008 a magnitude 8 earthquake struck Sichuan province in southwestern China. One of the worst natural disasters in modern Chinese history, it left 87,000 people dead or missing, 370,000 injured and more than 5 million homeless. Roads, villages, schools, homes and lives were lost and destroyed. What is the situation in the earthquake affected areas like today after 10 years of massive reconstruction efforts and rapid development? Two months after the Wenchuan earthquake, a joint research team of Chinese Academy for Science and Technology for Development (CASTED) and Fafo conducted a rapid needs assessment of the earthquake-stricken areas. The survey was repeated in 2009, 2011 and 2018. Four rounds of large-scale surveys make up a unique source to track the living conditions and reconstruction efforts in the earthquake affected areas. 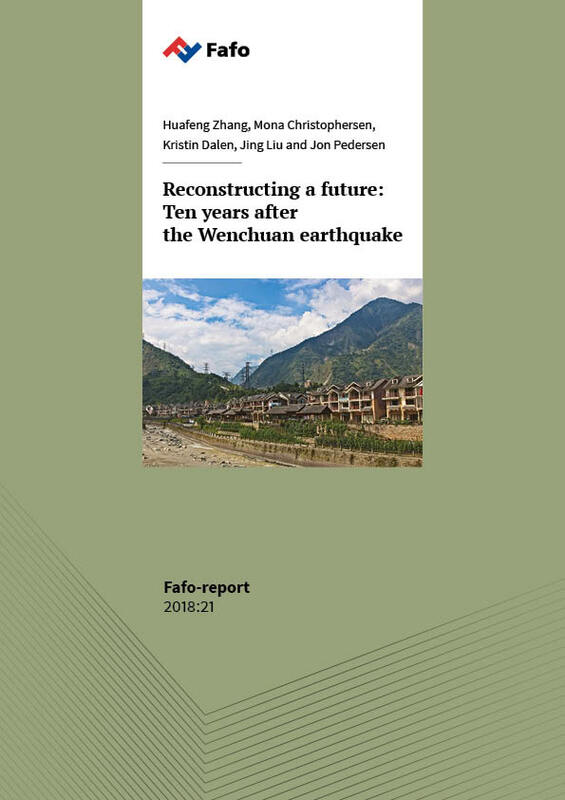 The report “Constructing a Future: Ten years after the Wenchuan Earthquake” gives a glimpse of the overall reconstruction efforts, developments and changes within the area over the decade since the earthquake struck.